While the protozoal parasites known as coccidia might dwell inside your rabbit, low numbers might not cause any harm or discernible symptoms. A large infestation leads to coccidiosis, which often proves fatal even with treatment. At the first sign of any gastrointestinal problem in your bunny, go straight to the vet. The protozoa causing coccidiosis in animals are of many different species, but it's Eimeria stiedae that causes liver, or hepatic, coccidiosis in rabbits. Coccidia eggs, known as oocysts, are eliminated by carrier rabbits in the feces, easily contaminating the hutch and food dishes. Other rabbits exposed to the feces ingest the oocysts, either through contaminated food or during grooming. Once swallowed by the bunny, the oocysts release spores inside the animal, possibly leading to either intestinal or liver coccidiosis. Liver coccidiosis more often affects young rabbits, but no rabbit is immune. Your bunny might stop eating, experience diarrhea and develop a rough-looking coat. You might spot blood or mucus in the poop. If he's young, the rabbit doesn't grow properly, remaining small and underweight. His belly becomes distended. According to MediRabbit.com, the disease either runs its course over a period of several weeks, or the rabbit dies within about 10 days of the onset of symptoms. Surviving rabbits often remain carriers, and relapse is possible. 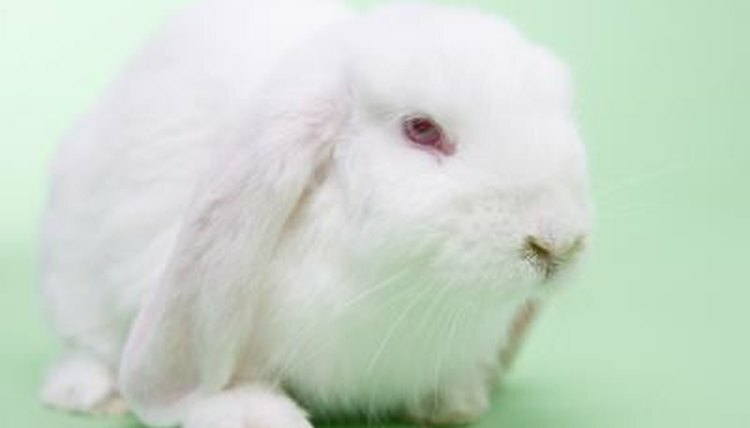 If you catch liver coccidiosis in your bunny early on, treatment can save your pet. Take him to the vet as soon as you notice any reluctance to eat—that's a red-alert veterinary emergency for a number of rabbit ailments. Your vet can prescribe antibiotics or sulfa drugs for your bunny. The latter might be mixed into the drinking water or food. The Merck Veterinary Manual notes that the goal is generally treatment rather than a cure, though cure is possible in some cases. Maintaining a scrupulously clean, dry environment is the best way to prevent liver coccidiosis in your bunnies. Clean food and water bowls regularly with a mild disinfectant. If your bunny lives in a wire cage, brush out the cage bottom every day with a brush. This interrupts coccidia's life cycle. MediRabbit.com also advises giving your bunnies twigs rich in tannin to chew on. These include oak, willow and hazelnut, although you must make sure the trees haven't been sprayed with pesticides.